The location and the accommodation are just like on the pictures, if not even better! Perfect apartment for a family with kids with a nice big pool. But the absolute highlight was our fantastic host Nectarios, who was always there for us. In the morning he offered us iced coffee and gave us a map and directions on what to do for the day. Best beaches, sight seeing, restaurants and secret tips. In the evening when we came back, he welcomed us with wine and olives and offered more information, or just chatted and played with our son. Nice accommodation you can find anywhere but a host like this hard to find. We just booked a room and didn't expect a guest relations officer, concierge and friend! We fell in love with the beautiful, quiet eastern side of Crete. Thank you to Nectarios, his wife and team for an unforgettable stay! 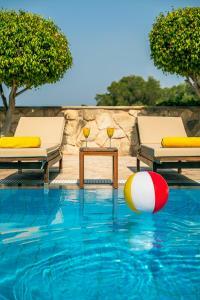 Perfectly maintained swimming pool and garden,tastefully decorated and clean apartments.Amazing hospitality!!! Wonderful accommodation with great amenities. Wonderful host. Exceptionally friendly and helpful. Great tips for things to do/visit. Had mentioned we would like to make Greek coffee and next thing his lovely wife has been to the supermarket to but us coffee. Yoghurt and fresh fruit delivered to our apartment for breakfast. All extras!! 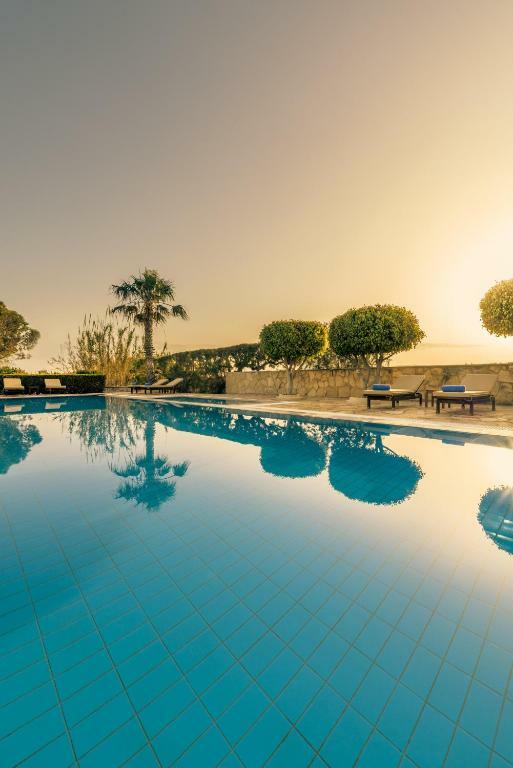 Luxury acommodation in nicely decorated and equipped apartments.Well maintened swimming pool area and garden and the most pleasant and helpful host of the area of Sitia.Worth visited and ubsolutely recommended. 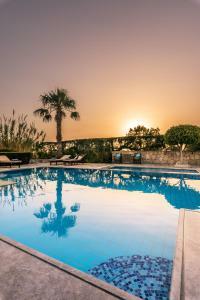 The apartment was well equipped, the pool area and gardens were lovely and well maintained. Nectarios, our host, was wonderful and couldn’t have been more helpful! He gave us several recommendations of where we could explore and where was good to eat and was always on hand to help and making us delicious treats to eat. Nektarios made our stay! His welcoming, service-minded approach makes you feel at home instantly - and that you have found a new friendship on Crete. We pretty much already had our itinerary planned but really appreciated the additional recommendations on where to have dinner and/or lunch, plus the tip to head for Mitsakakis to enjoy the best loukoumades (and having been around much in Greece I can only agree, they made the best loukoumades I have ever had)! Would love to come back and stay some more nights! Good clean rooms and a kitchen with all equipment. 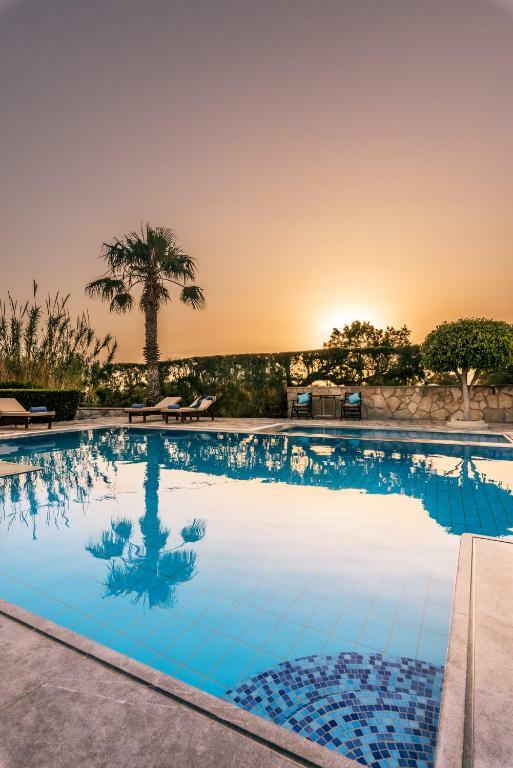 A beautiful swimmingpool with a very nice and clean garden,and very good sunbeds.We have been in crete for many years and it always good but Nektarios the host is the best ever! !He is super excited gives good advice for daytrips,In the morning yogurt with frsh fruit in the afternoon wine or beer with olives etc.etc.Nektarios thanks for everything. I really adored this place!So nice decorated and equipped apartments,wonderful and clean swimming pool , nice maintained garden and the best of all...the super ,unique host Nectarios!! Best choice! I recommend it! I had an one night stay in Oceanides luxury apartments and that was definetely too short time , to enjoy this unbelievable property around the trees and the swimming pool(just renovated as well). Nice decorated and just renovated apartments.Comfortable bed and pillows, nice view from the balcony,fully equipped rooms, quiet neighborhood and super welcoming host,Nectarios! Just unique, just the best!! Lock in a great price for Oceanides Luxury Apartments – rated 9.9 by recent guests! 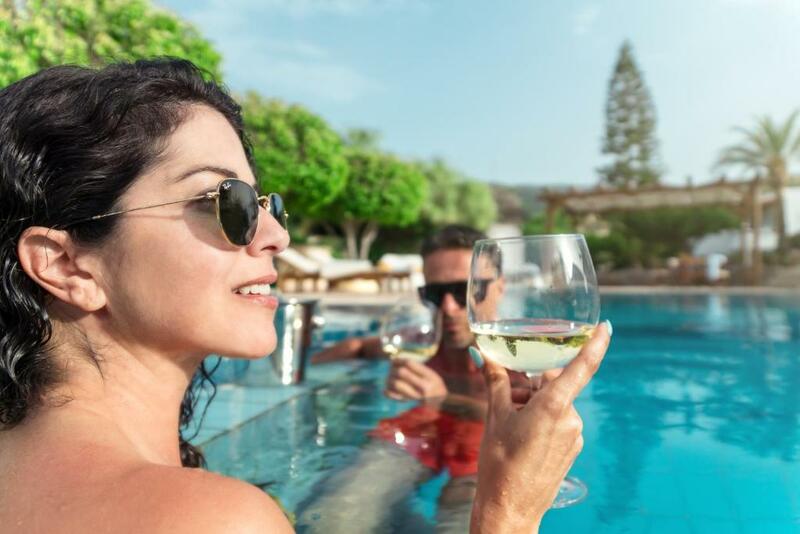 Just 350 feet from the sea, in Siteia, Oceanides offers air-conditioned apartments with a private balcony overlooking the Cretan Sea. Set amid a palm-tree garden, it includes a swimming pool with sun beds and a shaded seating area. Oceanides Apartments are simply furnished and include a kitchenette, where guests can prepare a quick meal. Other facilities feature a seating area with TV and an private bathroom with shower. Within 1,300 feet from the property, you can find taverns serving traditional Cretan cuisine. The nearest beach is 2,950 feet away. Private parking is available on site free of charge. When would you like to stay at Oceanides Luxury Apartments? Overlooking the Cretan Sea from its balcony, this air-conditioned apartment comes with a kitchenette and a seating area with TV. My name is Nectarios Kontogiorgakis , I live in Sitia and I’m teacher of physical education and fitness instructor. I’m married since 1998 and I have 4 sons. My wife’s name is Kelly kai she is a music teacher. I have been doing 10 years with this tourist accommodation, and I really care that every customer will leave for his country happy, relaxed, full of unique experiences. I like to welcome each customer separately, always offering a treat on arrival. My aim is to get to know him, to get in touch with each other and to point out to him (if he likes it) a variety of sights of our region, beautiful beaches, picturesque villages, hiking trails, shops, restaurants, archaeological places, that aren’t always recommended on maps and tourist guides and only a native resident knows them. I like the nature and the engagement with the traditional way of life and so I have found and tasted all the beauties of my place. So it is easier for me to suggest to a guest to visit them..So I look forward to knowing new people and managing to make them feel at home I wish them a good arrival to us and a good, pleasant and unforgettable stay. 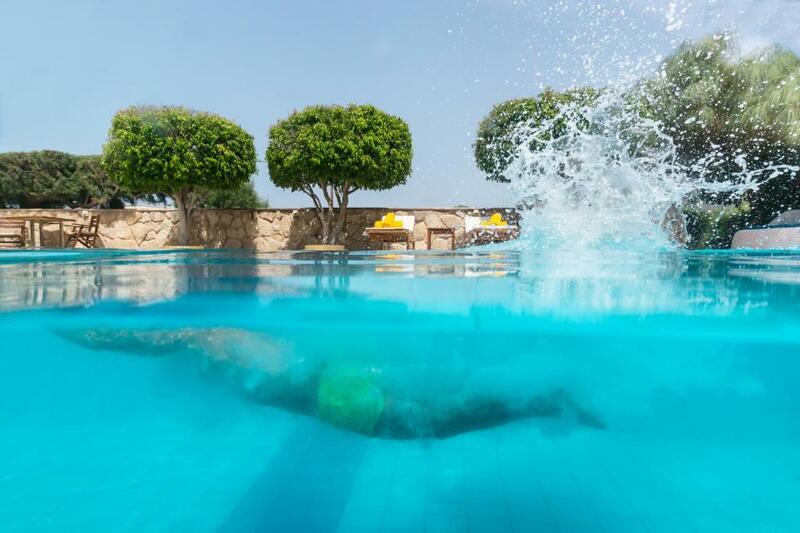 I am a physical education teacher with undivided interest for healthy lifestyle and diatrofis.I have got 4 children ,my wife is a musician teacher and I live with my family in the city of Sitia.The most time of the day, I am in our hotel for your convenience.. I am a physical education teacher and I have liked and adopted a healthy lifestyle and diet for many years now. I practice everyday and avoid abuses as much as possible. I travel abroad every year, because I like to discover new destinations and cultures. Our accommodation is located 2 km from the city center, on the crossroad leading from one side to the famous palm forest of Europe, Vai and the other side in the unique village Roussa Ekklisia, where you can taste genuine, tasty, traditional flavors under the shade of plane trees. 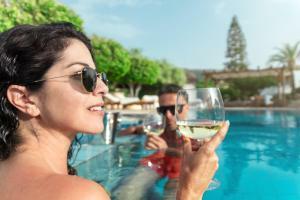 House Rules Oceanides Luxury Apartments takes special requests – add in the next step! Oceanides Luxury Apartments accepts these cards and reserves the right to temporarily hold an amount prior to arrival. Please inform Oceanides Luxury Apartments of your expected arrival time in advance. You can use the Special Requests box when booking, or contact the property directly using the contact details in your confirmation. That Oceanides is too popular and we only managed to get 1 night here! Nektarios the owner, was so friendly and welcoming, he came out as we parked and helped with our bags and showed us our apartment. He gave loads of good tips of where to go and things to do. The apartment was clean and really, comfortable, with a great view of the pool and sea. The pool was fabulous - large enough to swim lengths but also shallow enough for less confident swimmers. Our 7 and 13 year old loved it. But Nektarios and his lovely family really make it an extra special place to stay - he was always on hand making sure everyone of his guests were happy, including by providing them with a lovely iced coffee, wine or fresh figs from the trees around the apartments. I wish I was back by that pool now. The property is very lovely, our villa was charming and decorated tastefully. There is a beautiful and comfortable well-kept swimming pool, large enough to swim. The whole surrounded by beautiful fruit trees and flowers of all sort. But foremost, what struck and delighted us the most was definitively the welcome accorded to us by Nectarios, the landlord of the property. We spent – unfortunately – only one night there, but Nectarios gave us his time, in a very kind way, and demonstrated his high sense of hospitality: he welcomed us with typical dishes and a glass of wine, and explained us the major points of interest of the region, and good tips for discovering traditional pastries, very nicely. The day after, he brought us a delicious breakfast! Nectarios really treated us as his guests and it was a real pleasure to stay in his charming property. Thanks to him, we will have an unforgettable memory of Sitia! A very big thank to him!!! Words seem so poor to describe our holidays in Oceanides luxury apartments.The owner Nectarios was extremely helpful before and during the booking process in answering my questions and also by helping to organise our accommodation. The apartments are definetely very good value for money. The apartments are of a good quality and the beds, pillows and mattresses are comfortable with bathroom facilities. Every room is fully equipped like being at home. The wifi internet connection was perfect , even better than our home. 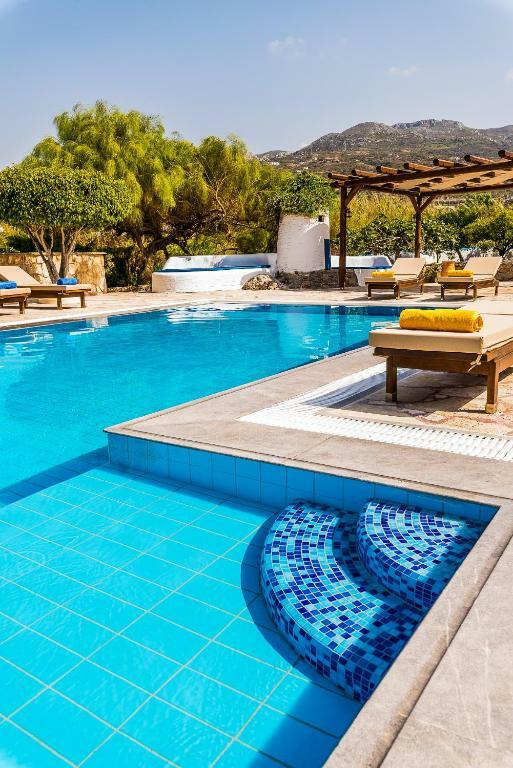 The shared pool area is lovely, just renovated with a quiet,relaxing atmosphere.The location is also good being only 3 minutes from Sitia which is a really authentic Greek town with lots of places to eat without being too touristy! Nectarios the owner however is the star of the show. From our arrival until we departed he could not do enough for us. He talked us through all the 'not to be missed' sights and places to eat and is indeed passionate about his local area. Without his information we would not have seen as many beautiful places. He was always welcoming and keen to make us a cold coffee by the pool. Thank you Nectarios for such a lovely stay. Nice appartment with a sea view and close to the pool. Great tips from Nectarios to visit East Crete and make you feel at home ! The apartments and pool are fantastic; just like the photo's. Nectarios, the host did so much to make our stay comfortable and special. It is worth staying there just for his frappes! It was our first time being in Eastern Crete and we just had an amazing time. Our stay at this place is what made it so special. Starting from our check in which was a personalized welcome to our check out everything was special. The host Nektarios is a great host and right away greeted us with some wine and was so helpful in suggesting places to visit. We followed the itinerary and were never disappointed! The place is very beautiful , will definitely come back to this place wish we had more days to stay here! So fantastic!!! So wonderful decoration, outstanding exterior area, perfect garden and swimming pool. Next month I will be here again!! Can't wait for it!! !